Feel free to downlaod the free version. PMP® (Project Management Professional) Certification is the most in-demand professional credential in project management offered by PMI® (Project Management Institute) to professionals who successfully clear the PMP® Exam. Preparing for PMP® The PMP® exam is known to be challenging; so candidates are advised to prepare thoroughly before making their first attempt. Effectiveness of any PMP®-prep plan depends on candidate’s individual experience and capability and this eBook can be used as a reference when creating your own study plan. 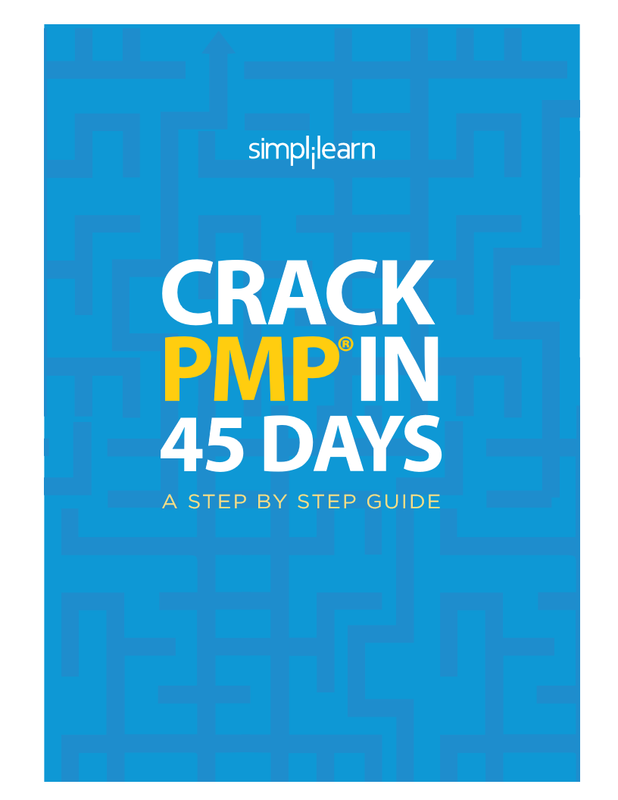 Your PMP preparation can be completed in a month, but we recommend all professionals to take at least 45 days for thorough preparation. This guide was prepared after carefully analyzing the study patterns of 19000+PMP® aspirants trained by Simplilearn and consulting our trainers. Following instructions presented in this guide will help you create your own study plan and prepare you for the certification exam in the most effective way.